Hafsah Aneela Bashir is a poet and spoken word artist who holds an MA in Postcolonial Literary and Culture from the University of Leeds. Along with her personal experiences, her work with NGO’s, providing emergency supplies and medical aid to conflict zones, informs her creativity producing a form of lyrical activism. Her poetry has been published by Crocus Books in the anthology, ‘When Saira Met Sara’ bringing together Muslim and Jewish writers. She writes to raise awareness about social injustice and has a keen interest in writing as a form of resistance and liberty. She has worked with Women Asylum Seekers Together to use creative agency as a means to highlight demands for basic human rights. Also part of a writing collective called Manchester Muslim Writers, she conducts poetry workshops within the community working with young people to develop understanding of identity and empowerment. 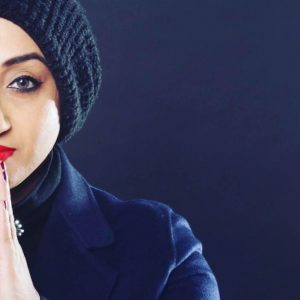 She has performed for Oxfam, RAPAR, Freedom From Torture and interfaith events and can often be found at open-mics in and around Manchester in her spare time. She was a recipient of Manchester International Festival Jerwood Fellowship 2017. She wrote and performed in the Memories of Partition project performed at The Royal Exchange and in the community. Hafsah is currently on a Regional Theatre Young Directors Scheme, an Artistic Directors Leadership programme for Black Asian Minority Ethnic (BAME) theatre makers. 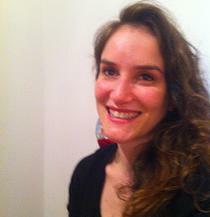 Nikki Mailer has been an applied theatre practitioner and theatre maker for over 8 years. She uses theatre as a tool for positive social change. She has delivered applied theatre projects in the UK with marginalised and vulnerable people and in deprived areas. She has a Master of Arts in Applied Theatre from Manchester University and has trained with different practitioners including Augusto Boal who founded The Theatre of the Oppressed. Her approach and vision widened considerably through projects in the US, India and South America, starting with an apprenticeship with Bread and Puppet, a politically radical theatre company in Vermont with whom she performed in shows and parades. In India she participated in theatre and development projects and activist street theatre. She also spent time developing theatre projects in a Favela in Sao Paulo, Brazil and working alongside a prison theatre company in Santiago, Chile. She currently leads a learning disabled theatre company At The Edge Theatre in Manchester.